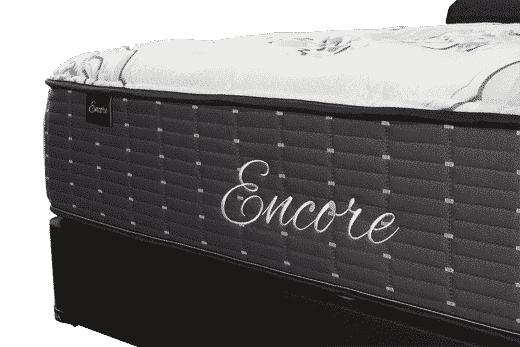 Encore® hybrid mattresses embody the pinnacle of everything we’ve learned about designing mattresses over the past 50+ years. 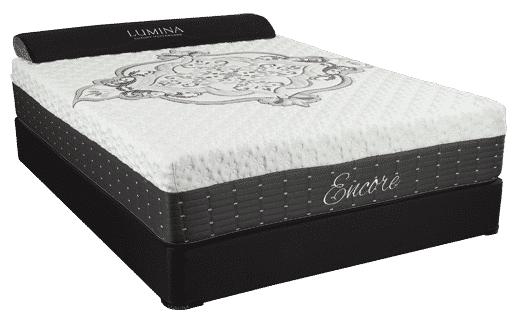 They offer a premier level of comfort for the most discerning mattress shopper who demands the very best that our industry has to offer.  Layers of nano coils are blanketed atop the pocketed spring support core to deliver an elevated degree of fine tuning unachievable in any other mattress, regardless of price. 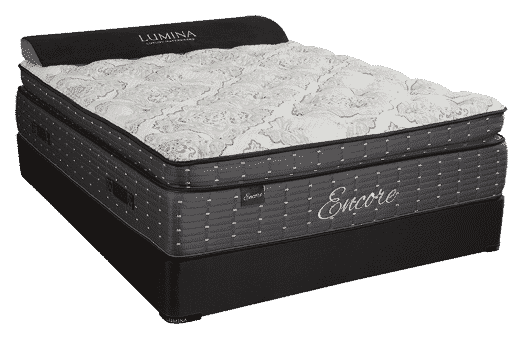 Natural Talalay latex and high-density memory foam are layered in precision ascending order to create levels of body conforming comfort that must be experienced to be believed. Many manufacturers still use latex from synthetic sources, which usually contain petroleum byproducts. By contrast, Sherwood Bedding carefully selects the highest grades of 100% natural latex from genuine rubber trees. It is a common misconception that all memory foams are essentially the same thing. 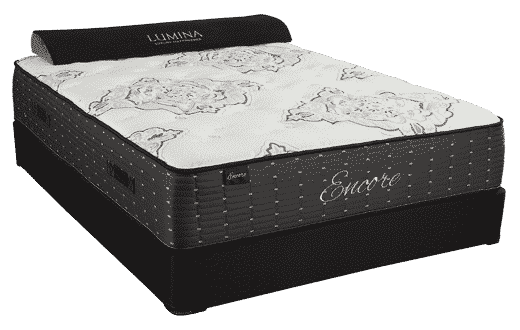 This couldn’t be more untrue, especially when you are comparing cheap low-density memory foam with the premium open-cell memory foam used by Sherwood Bedding. 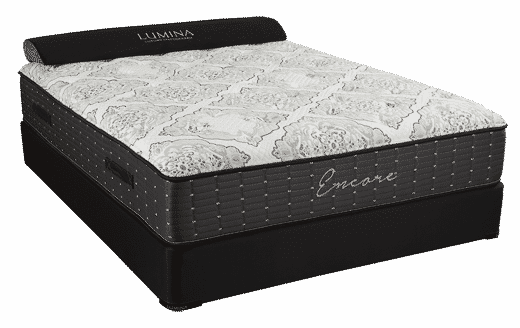 When employing materials like latex and memory foam that conform to the body’s every curvature, traditional mattress fabrics fall short. 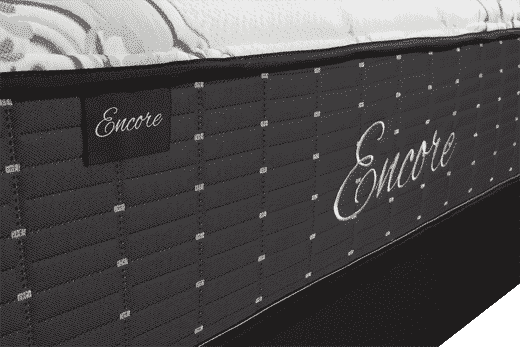 Sherwood Bedding uses specialized 4-way stretch fabrics that allow the advanced materials inside Encore® mattresses to really shine. Quality is at the forefront of every Sherwood Bedding product, which is why each of our factories is outfitted with the industry’s most advanced precision engineering equipment. 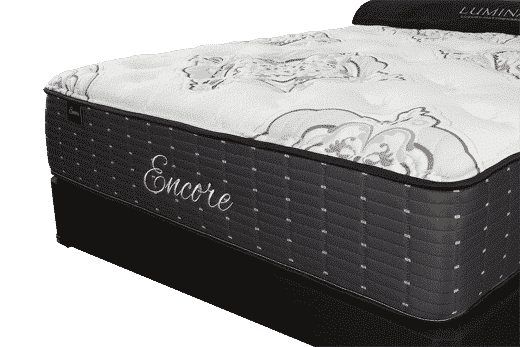 Sherwood Bedding is a family-owned company that would never ask our customers to sleep on any material we wouldn’t feel good about sleeping on ourselves. Rest assured that every mattress we make not only minimizes risk to the environment but also to your family’s health. 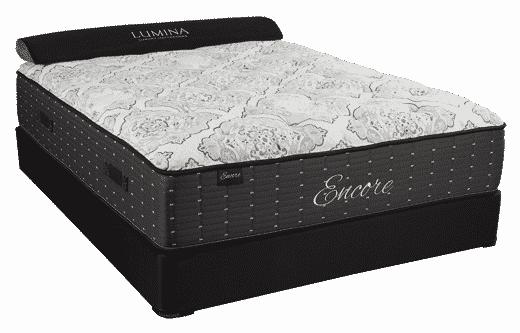 The Prestige smooth top hybrid series is designed for firm support and maximum conformability.  High-density memory foam and specialty “transitional” memory foams are layered in an ascending support strategy over a fully foam encased tempered, pocketed spring system. 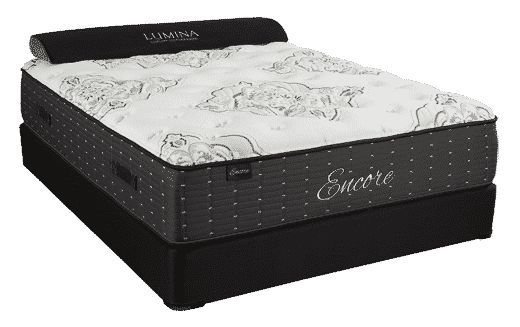 This unique design yields excellent conformability to individual body contours and delivers firm and luxury firm support characteristics. 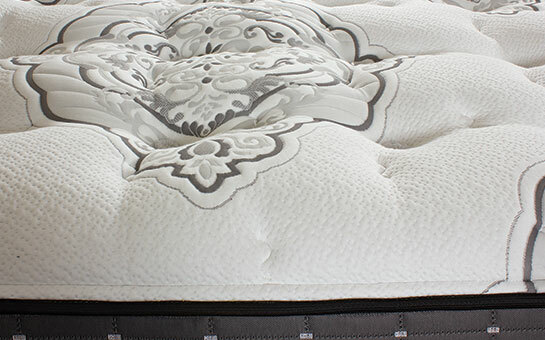 By design, the Prestige Series tempered pocketed spring support system eliminates motion transfer across the surface of the mattress, and affords superior edge support. The heavyweight Prestige panel covers are treated with Max Breeze™ temperature regulating technology and knitted together with Lycra to enhance surface comfort and conformability. 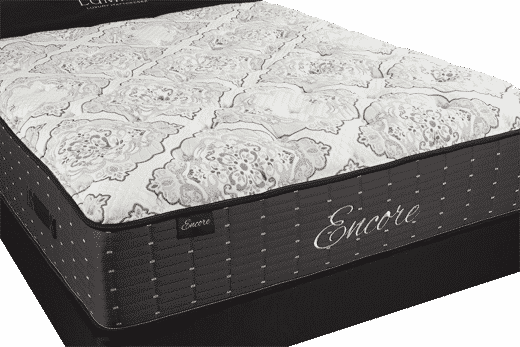 The Prestige smooth top hybrid series of mattresses is available in Luxury Firm, Luxury Firm and Cushion Firm models. 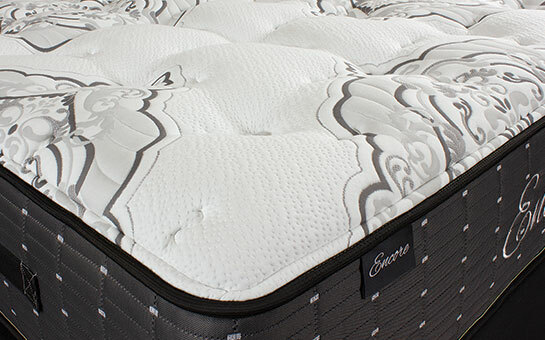 The Majesty Series of quilted, Nano Coil hybrid mattresses is utterly unique in both its design and application of technology. 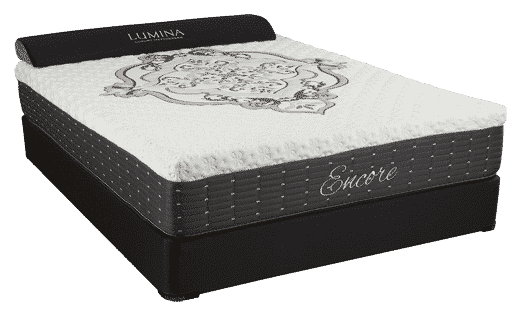 As a quilted luxury pocketed spring mattress, the Majesty Series delivers deep conforming comfort and a total elimination of surface motion transfer. As a hybrid mattress, the thoughtful layering of high-density memory foam support layers affords maximum support and conformability. The addition of Nano Coils takes the Majesty Series to an entirely new level, with the Nano Coils working in unison with other comfort layers for a feel that is nothing short of magical. Heavyweight upholstered quilting is made from natural tencel fibers and is infused with Lycra, which is then knitted into super heavyweight panel covers and treated with Max Breeze™ temperature regulating technology. The Majesty Series of mattresses are available in Firm, Luxury Firm, Plush, Luxury Plush and Super Jumbo Pillow Top models. 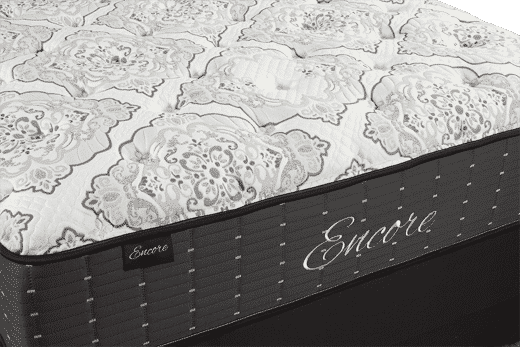 Experience “best of both worlds” Encore® hybrid mattress technology.